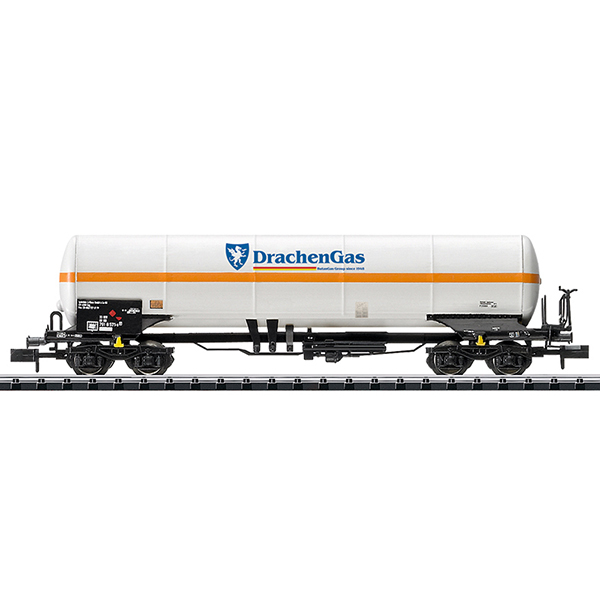 Prototype: Pressurized gas tank car, privately owned car painted and lettered for Drachen Propane Gas, Inc., headquartered in Frankfurt/M, used on the German Railroad, Inc. (DB AG). Model: The car has a close coupler mechanism. Length over the buffers 106 mm / 4-3/16".